With clowns to the left of you and jokers to the right, sometimes you have to make your way down the middle through a cold trench of muck and mire. Turn the slog into a cakewalk with DWR-treated nubuck leather, a waterproof/breathable B-DRY Lining, and 400 grams of foot-toasting Thinsulate™. 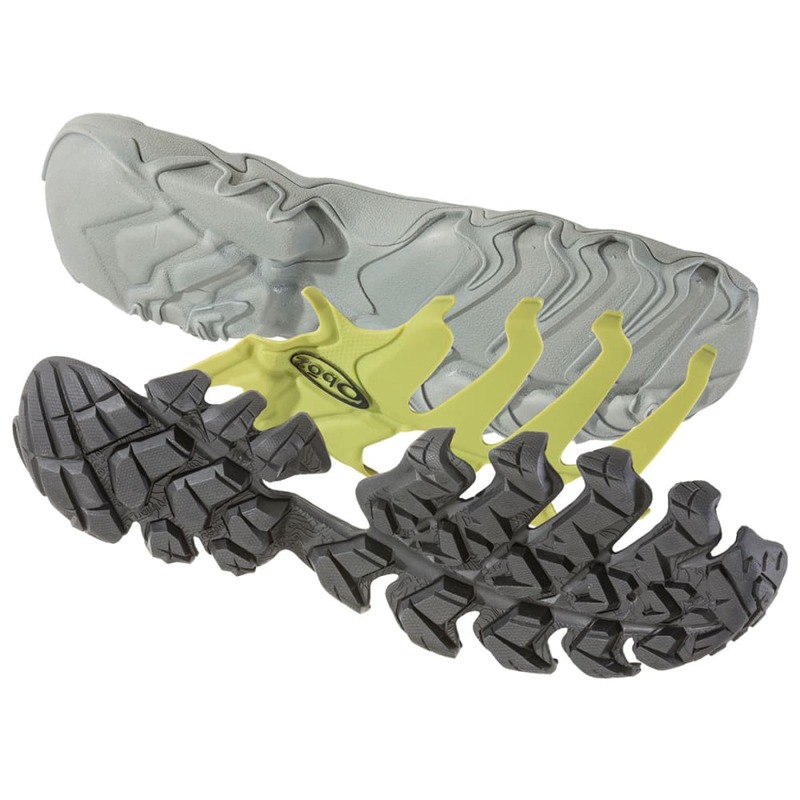 Cold-traction-optimized rubber prevents a slide back down that slippery slope. 400 gram 3M™ Thinsulate™ insulation: To keep you warm when temps plummet, 400 gram 3M™ Thinsulate™ insulation’s fine microfibers trap air molecules between you and the outside, creating insulation and warmth no other insulator can. 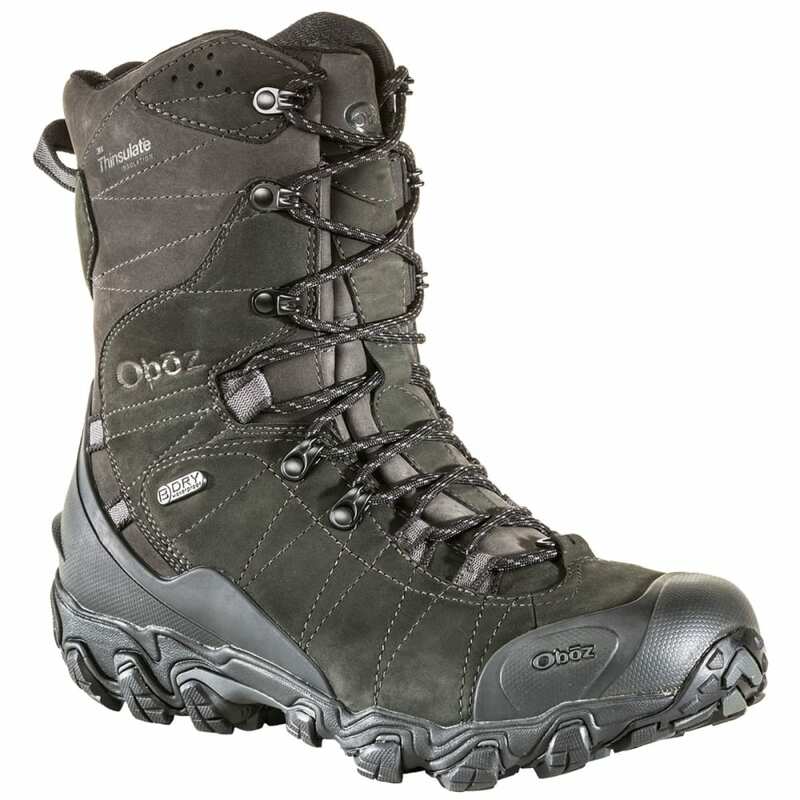 Oboz B-DRY waterproof/breathable membrane: Three core components make up the B-DRY waterproof system, starting with a proprietary tape-sealed polyurethane film bootie. Hydrophobic upper materials keep the shoe watertight, while textile lining wicks sweat away. Molded rubber toe cap and heel kick: Kick back and relax, without getting your hands dirty. 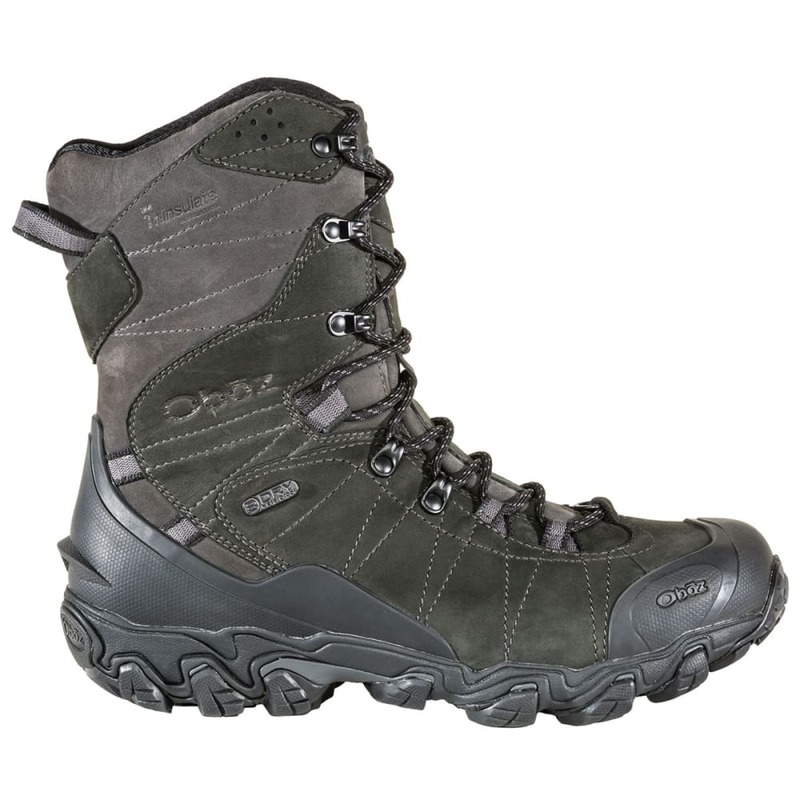 Oboz's molded heel kicks means muddy boots can take a hike, hands-free. Nylon shank offers added support between the heel and forefoot. 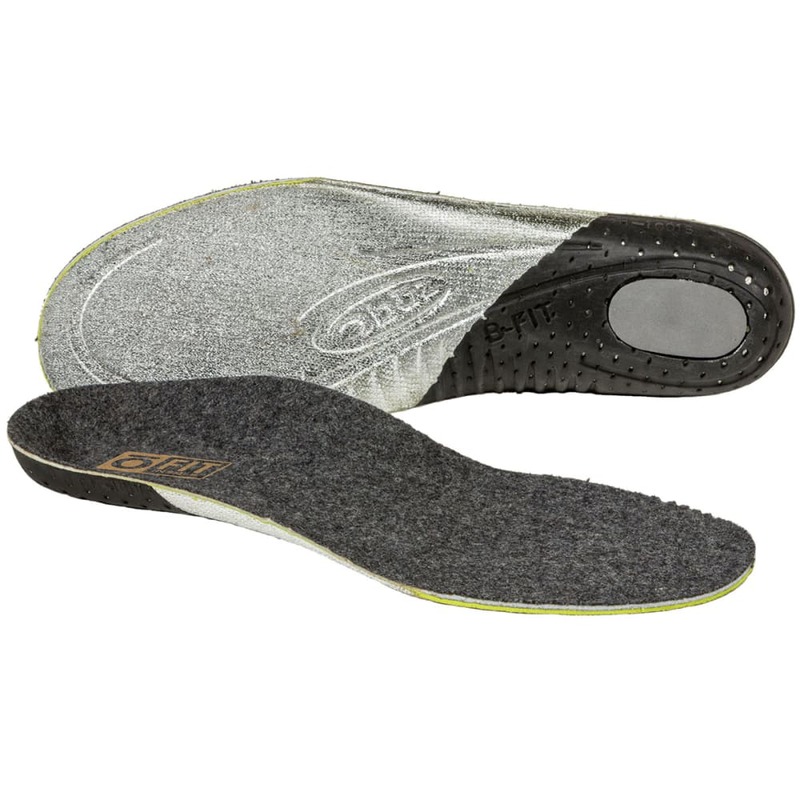 Dual-density EVA midsole provides supportive, balanced cushioning. TPU chassis adds protection and torsional stability underfoot. 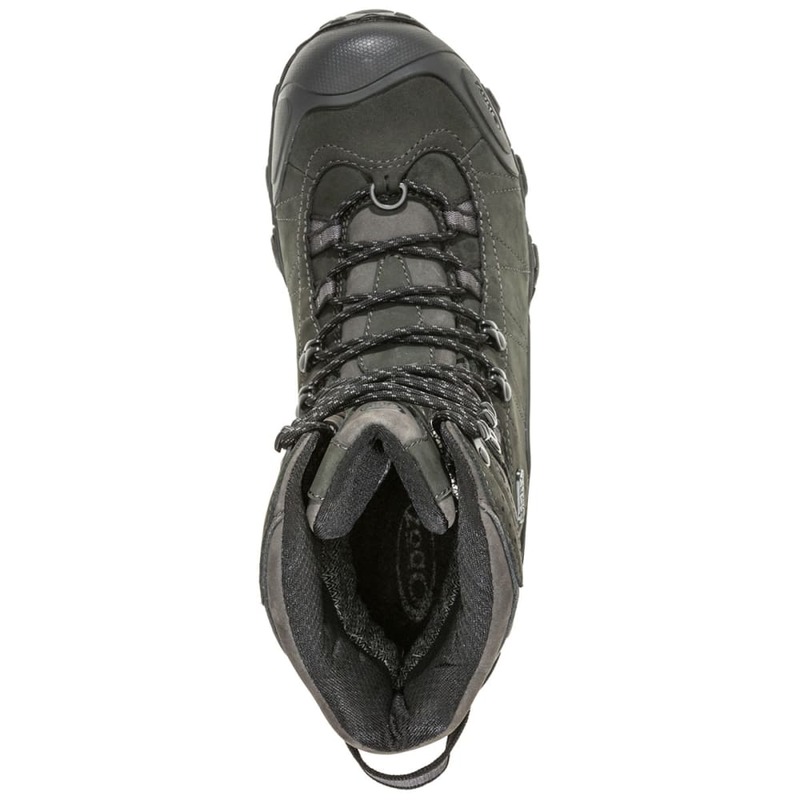 Granite Peak with Winterized Rubber: A toothy outsole made for winter trails. 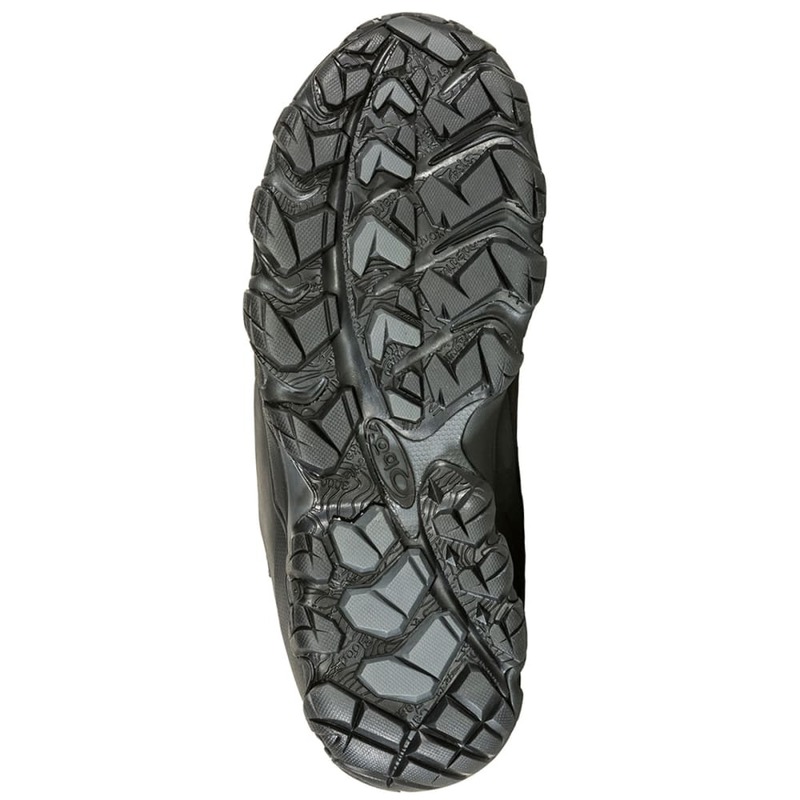 Featuring winterized rubber specifically formulated to be softer and grip in cold climate conditions. Volume: Medium-High volume feet tend to be wider with higher arches and insteps. Avg. Weight (pair): 26.9 oz.